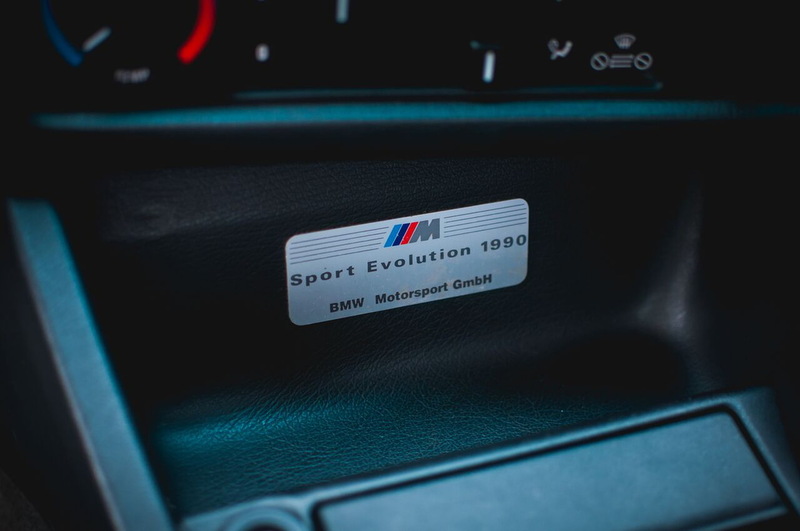 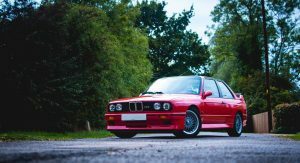 There aren’t many petrolheads who wouldn’t drool over a mint-condition BMW M3 E30, let alone the limited edition Sport Evolution, also known as the Evo III. 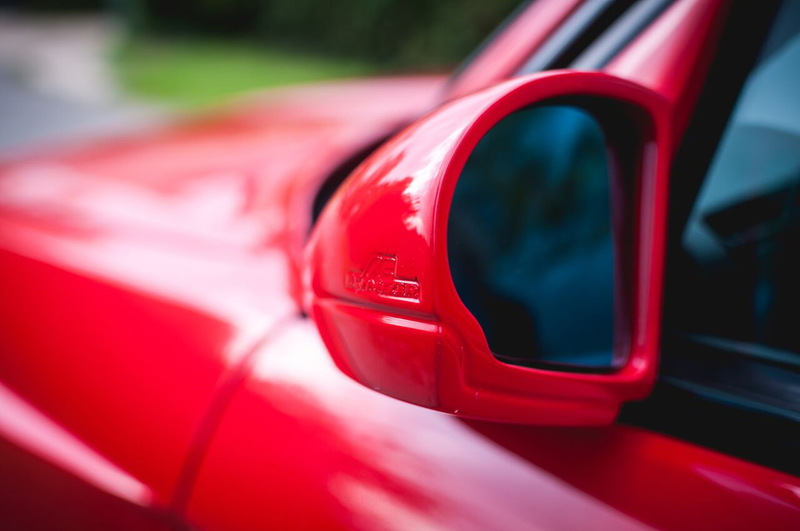 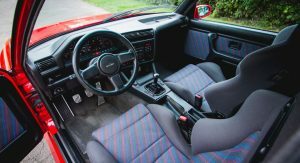 Introduced with a bang in 1989 and produced in just 600 examples until 1990, this iconic two-door was available in either black or red and came with a modded front bumper, brake cooling ducts in place of the fog lamps, adjustable splitter and rear wing. 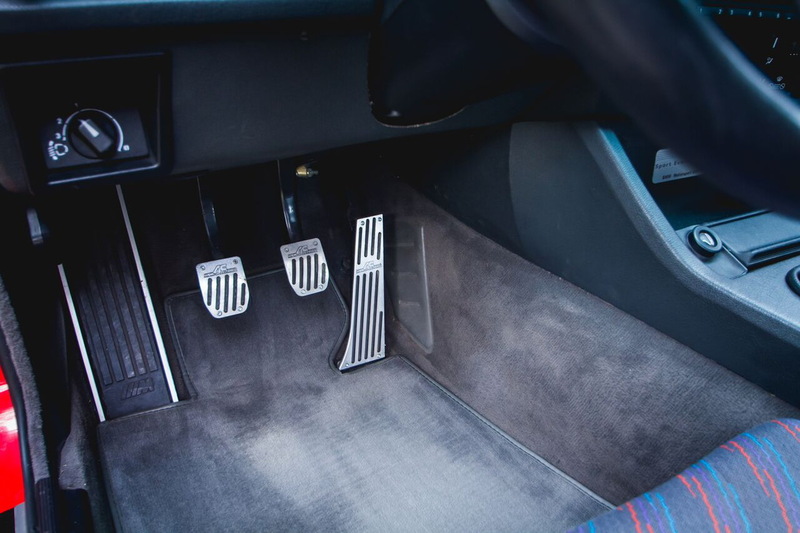 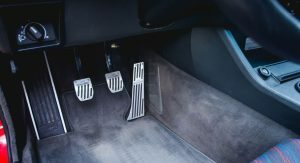 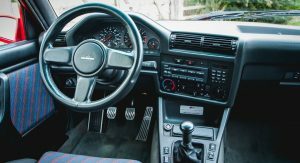 Moreover, the car had an enlarged engine displacement to 2.5-liter, a five-speed Getrag 265 gearbox, a limited-slip differential and special brake calipers and rotors on all four corners. 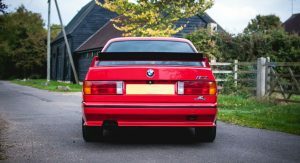 Pictured here is chassis number AC79160, which was first registered in Germany by the carmaker’s tuning arm, Alpina, on March 10, 1990. 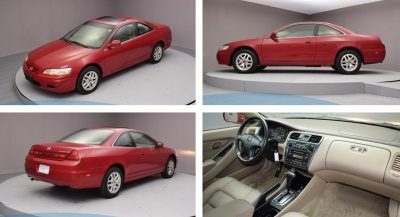 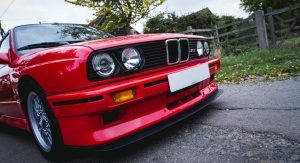 It sports a Brilliant Red exterior paint and Grey Motorsport cloth interior and features several options such as the headlight wash-wipe system, electric windows and sunroof and a trip computer. 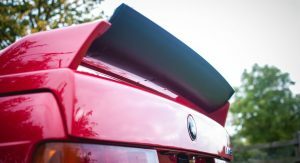 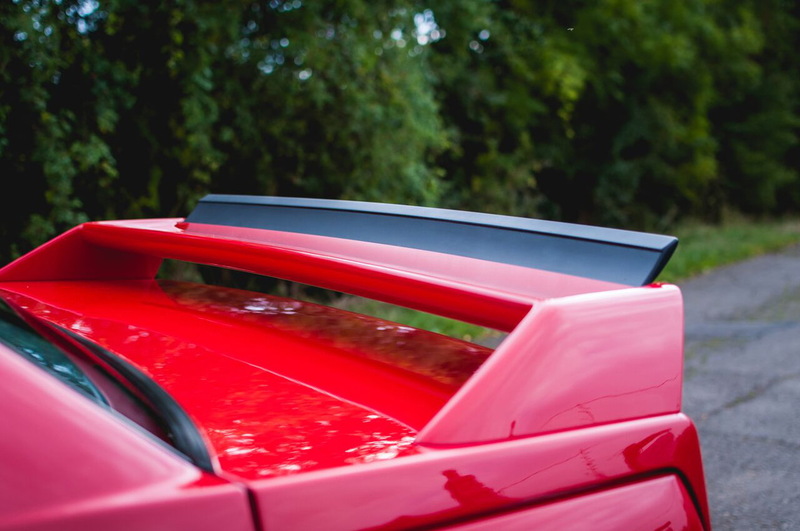 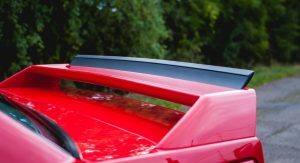 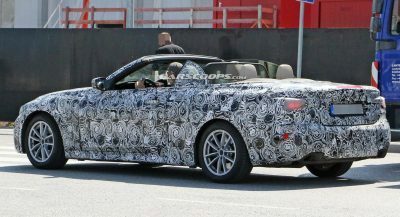 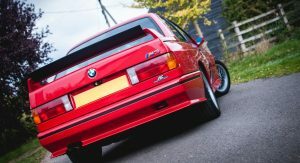 Shortly after it was registered, it was sent to BMW specialist Windynook Motorsport in Preston, where it was used as a company demonstrator for 19 months. 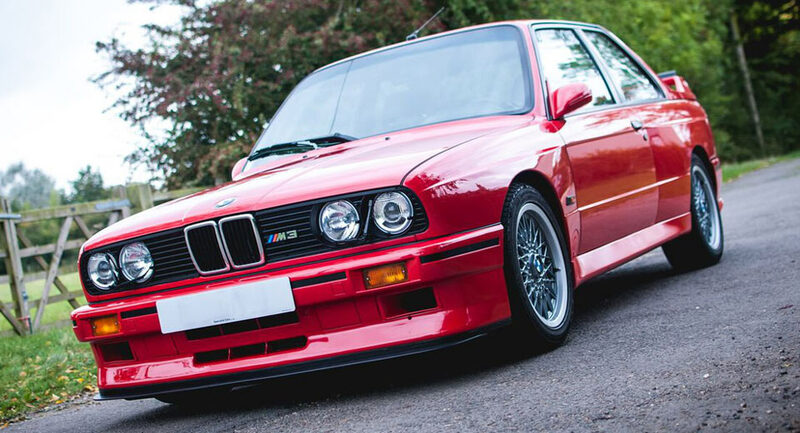 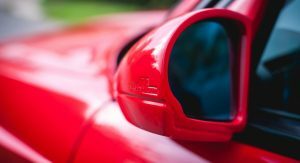 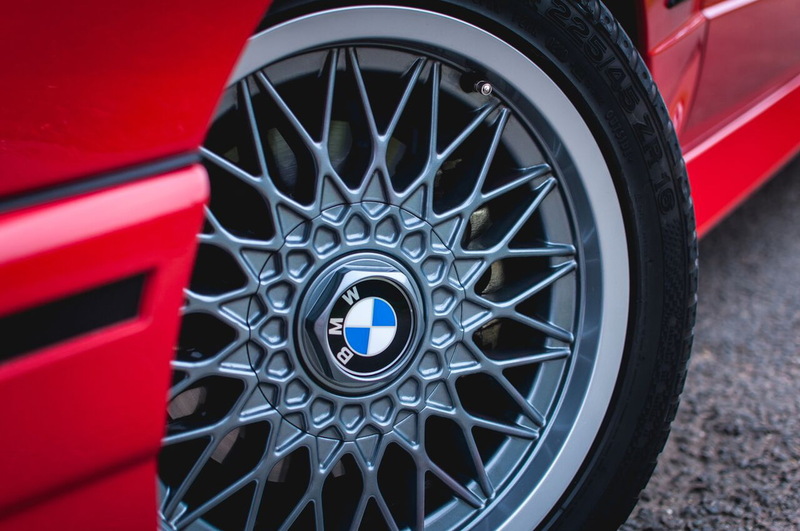 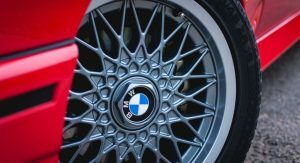 During that time, several AC Schnitzer upgrades were fitted to it, which are still found on the car today, and in more recent times, an AC Schnitzer steering wheel was equipped, but the vendor, SilverstoneAuctions, states that the original one is also available. 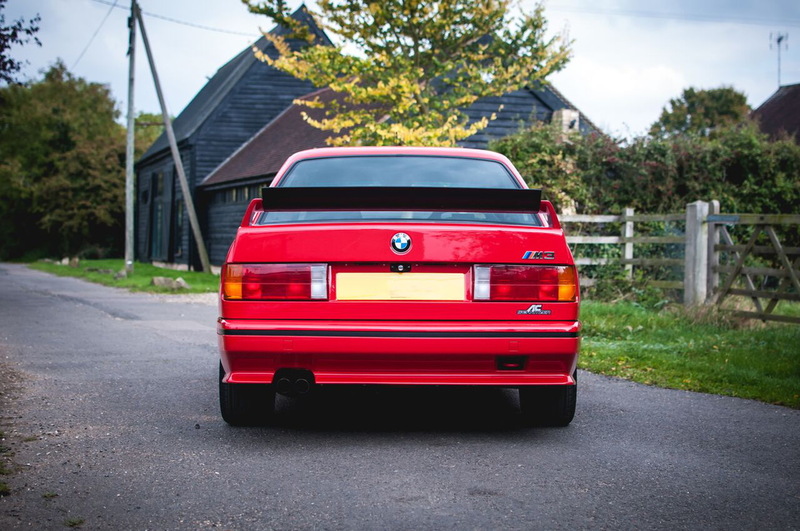 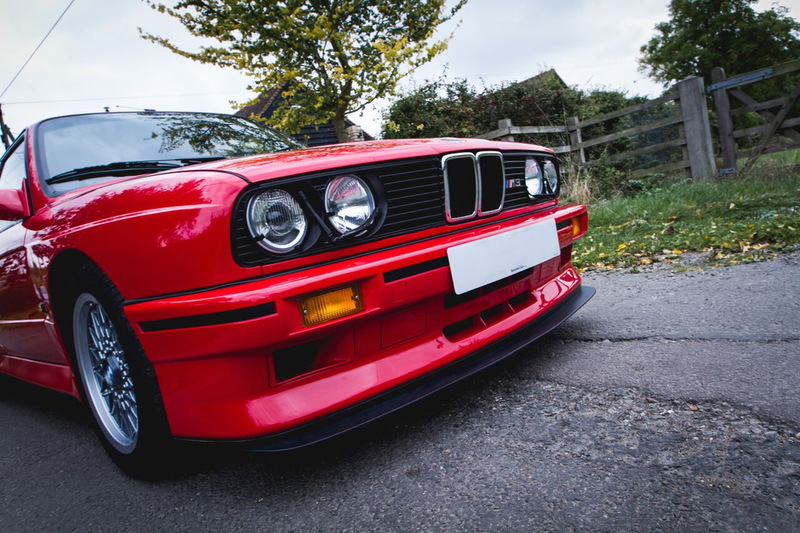 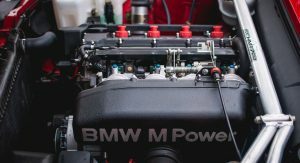 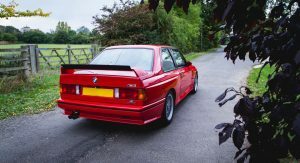 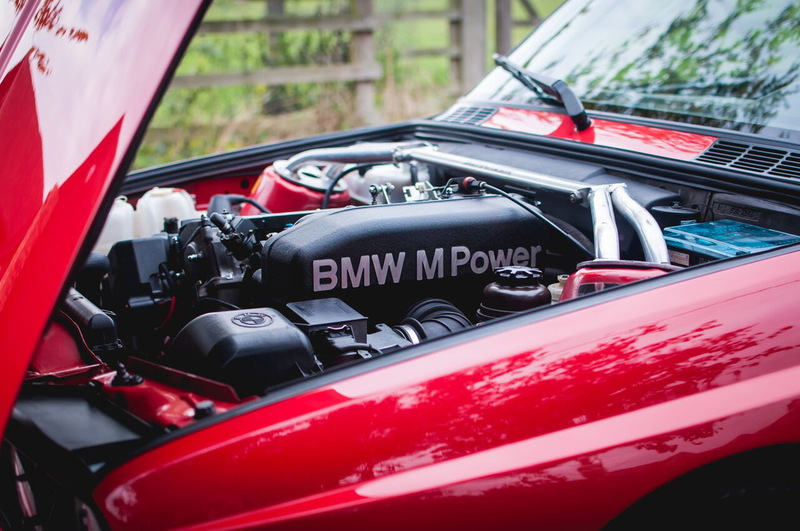 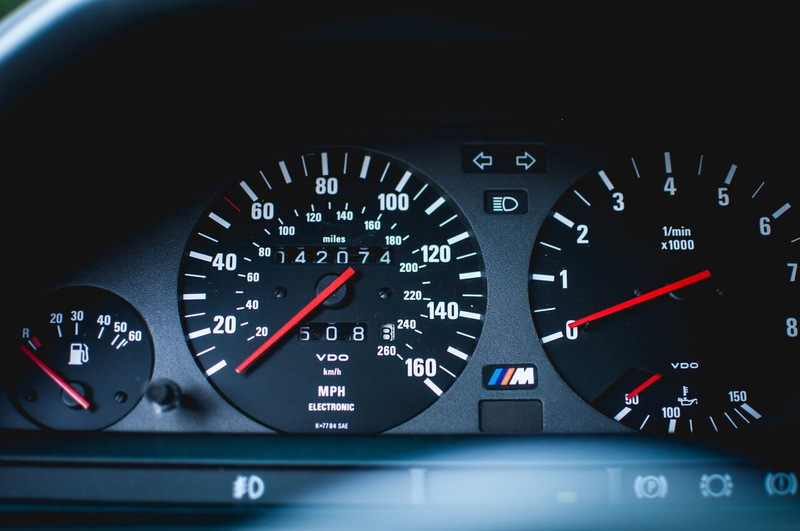 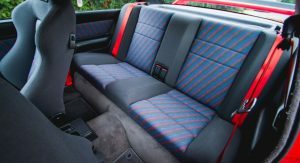 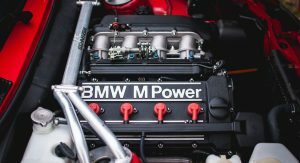 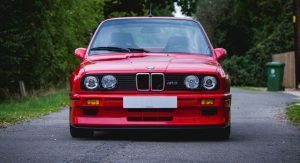 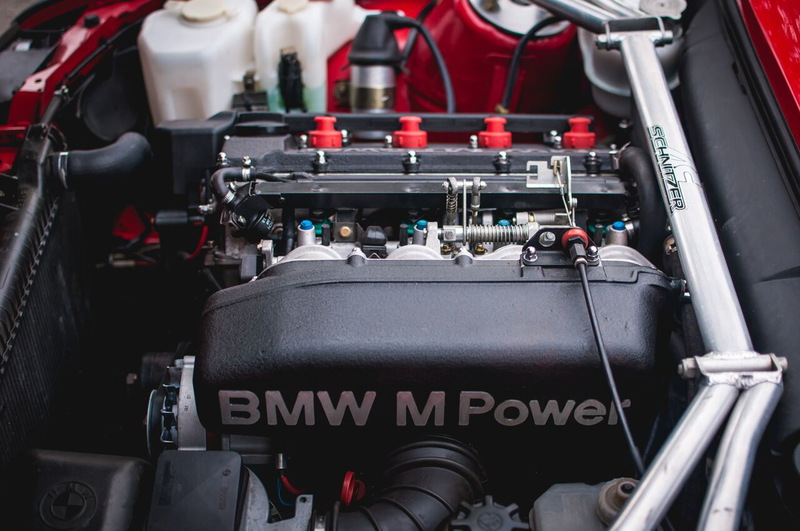 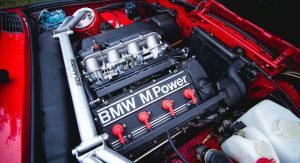 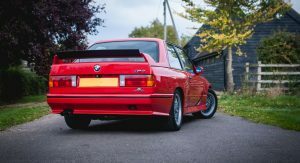 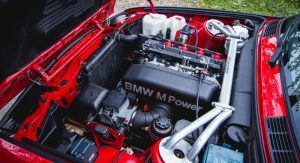 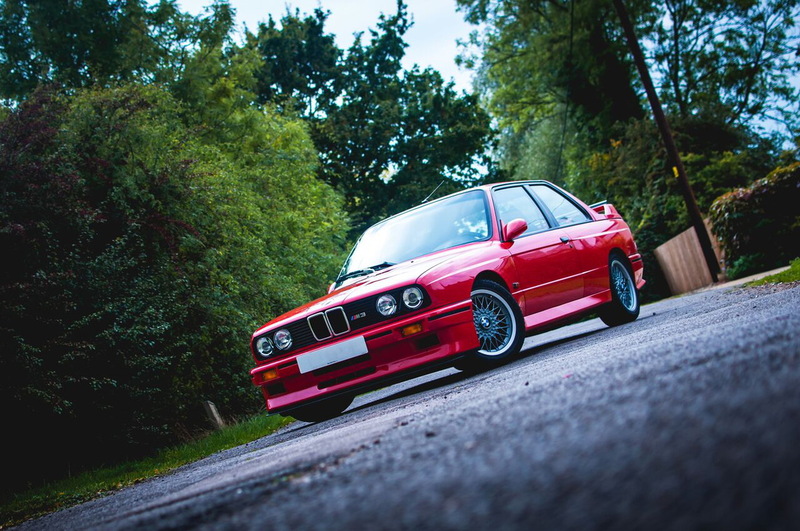 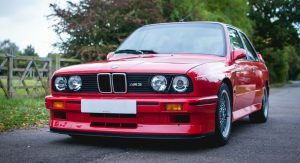 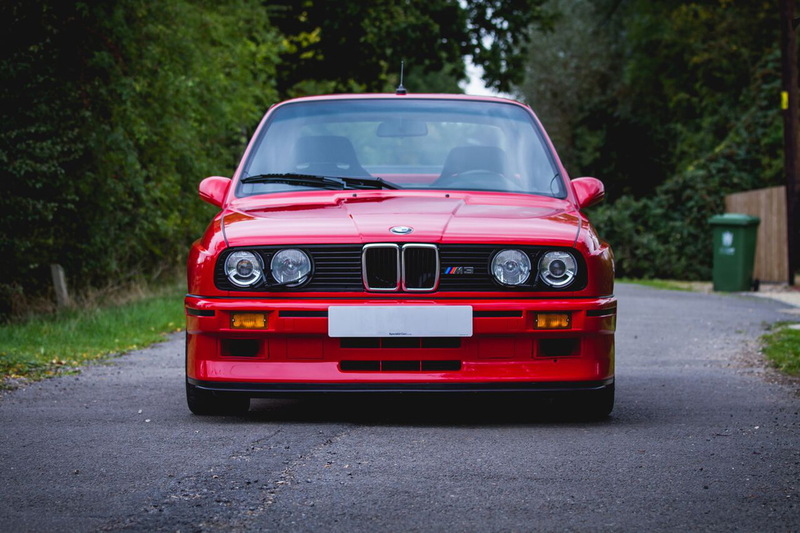 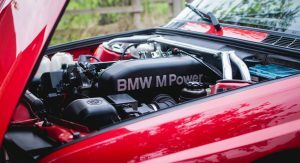 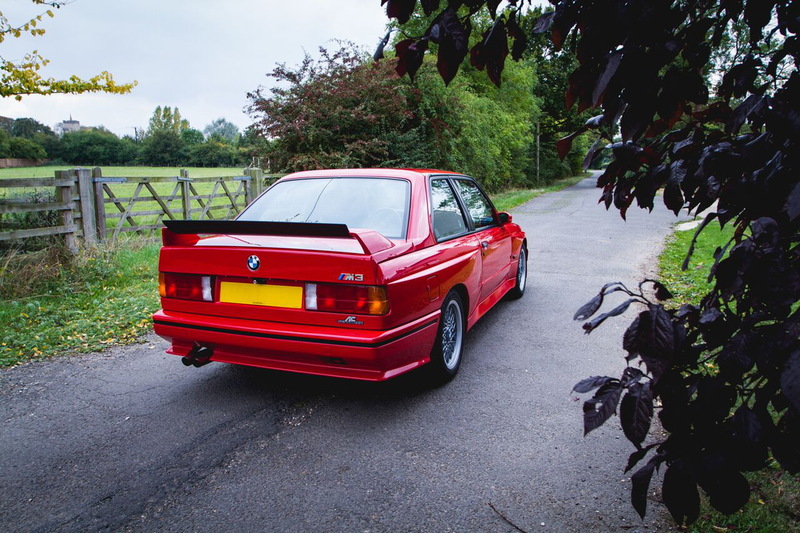 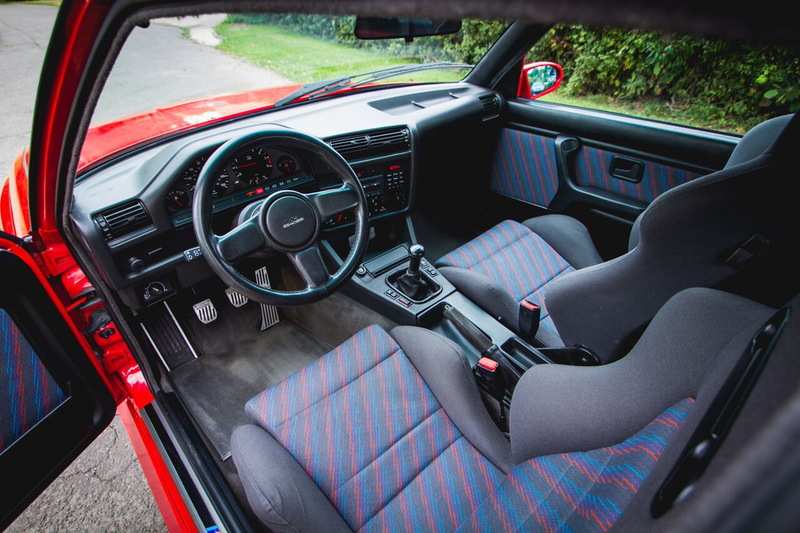 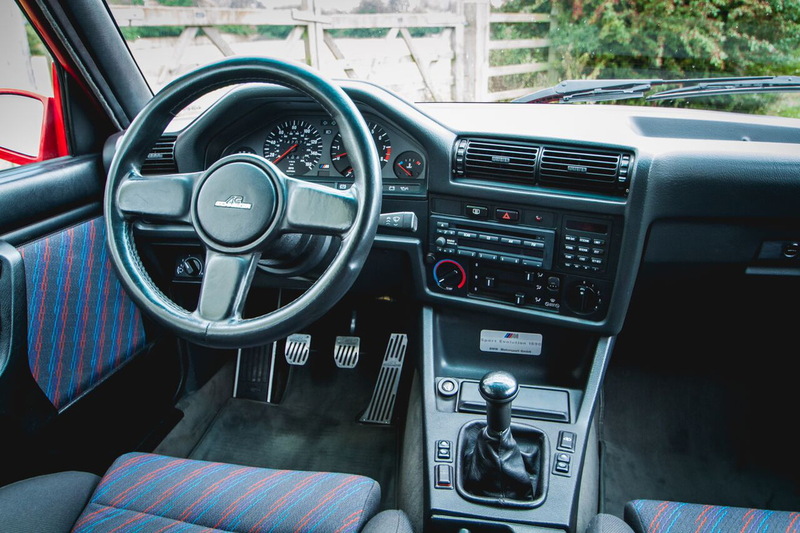 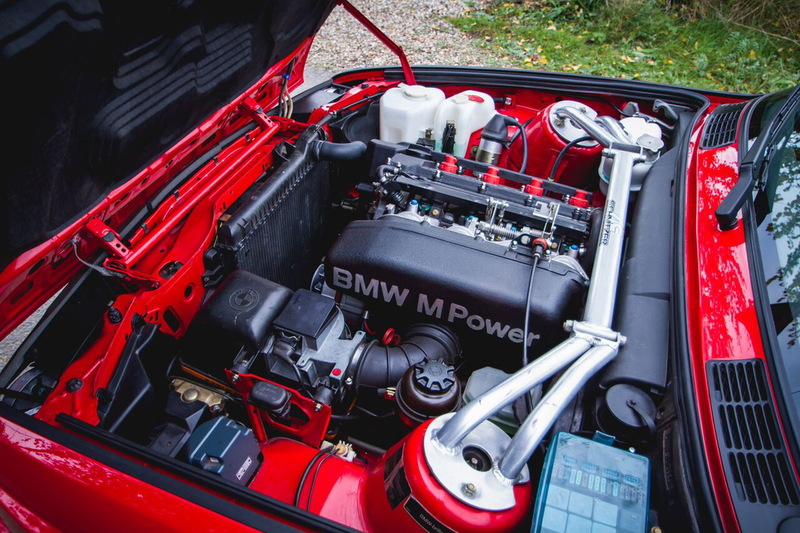 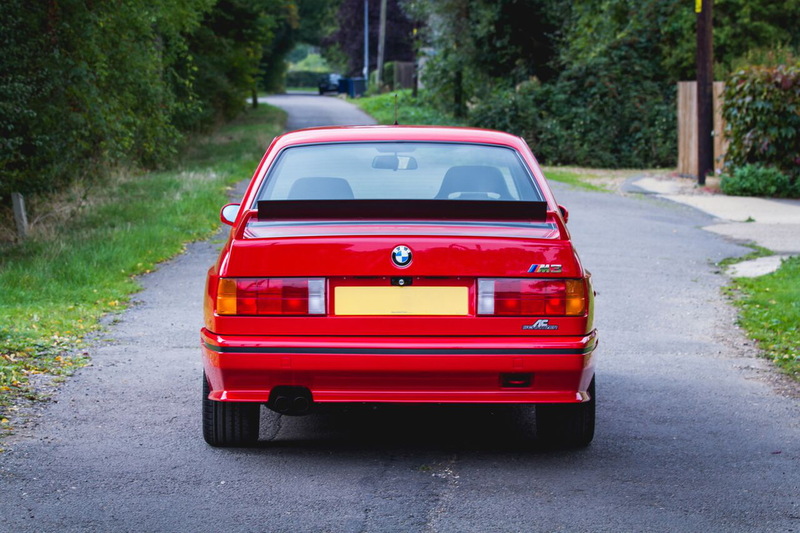 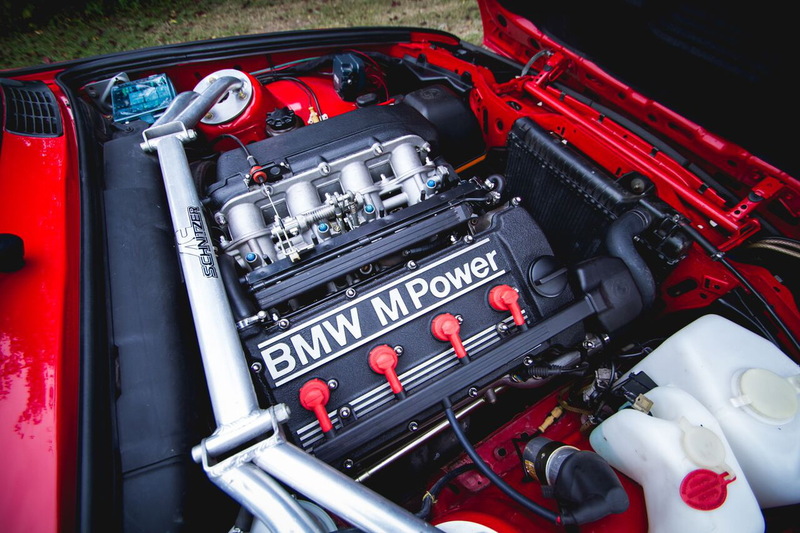 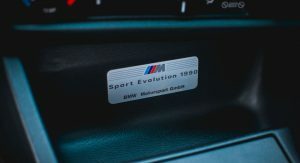 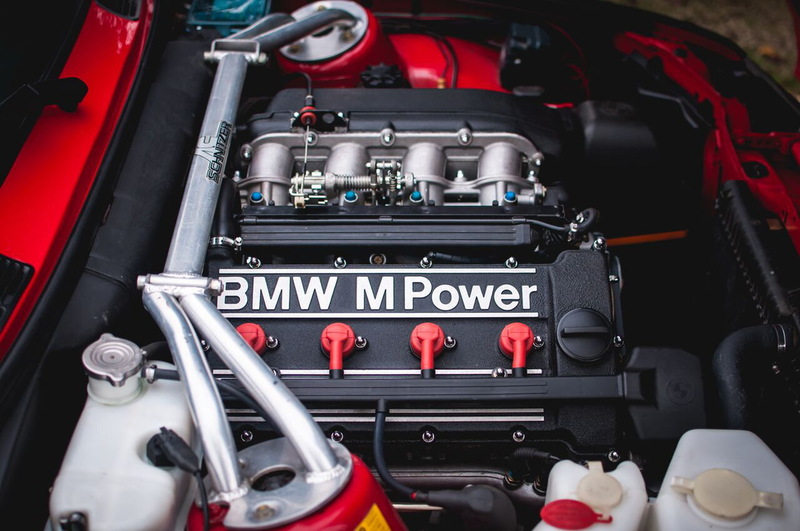 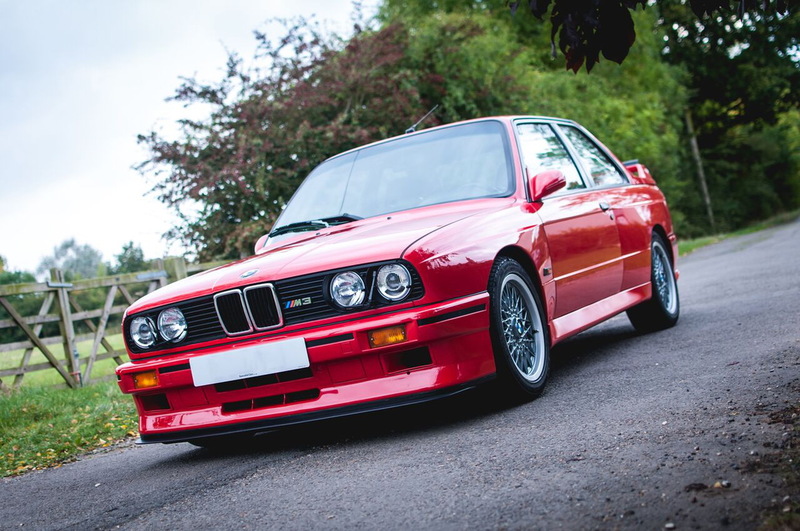 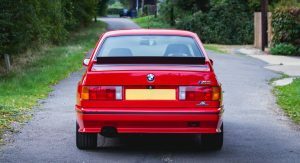 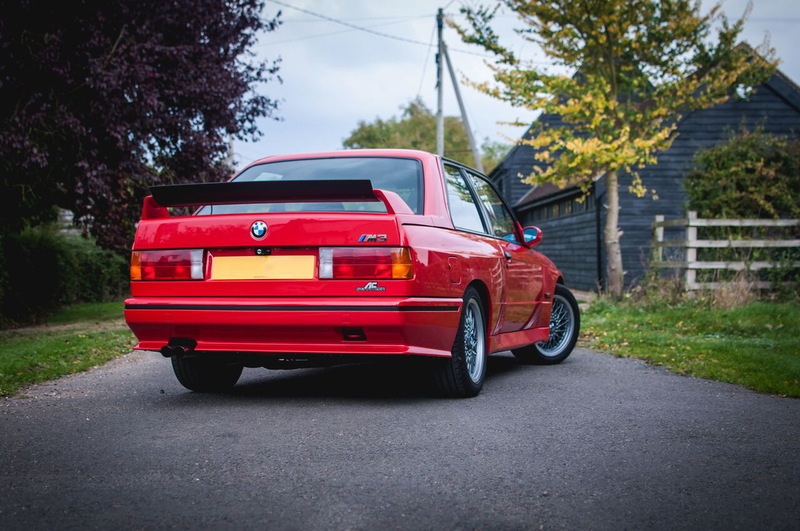 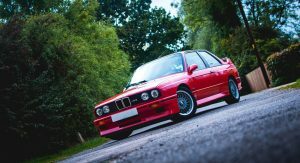 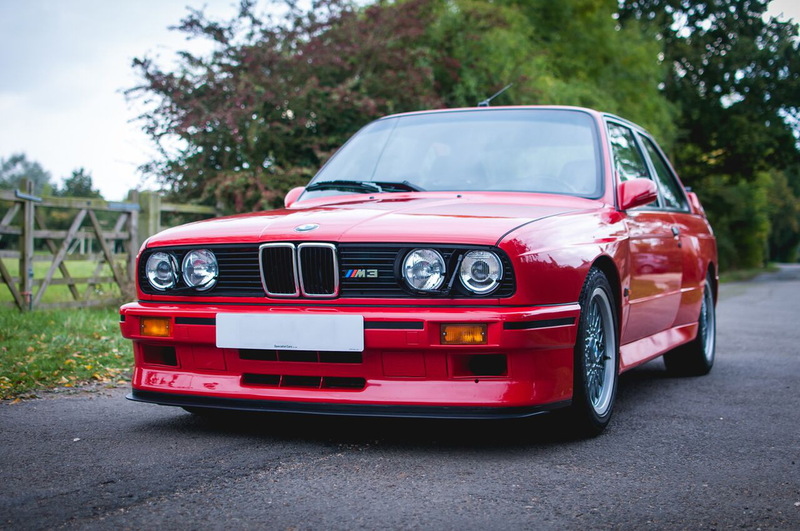 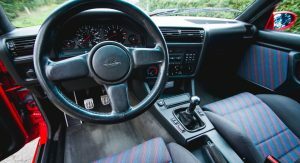 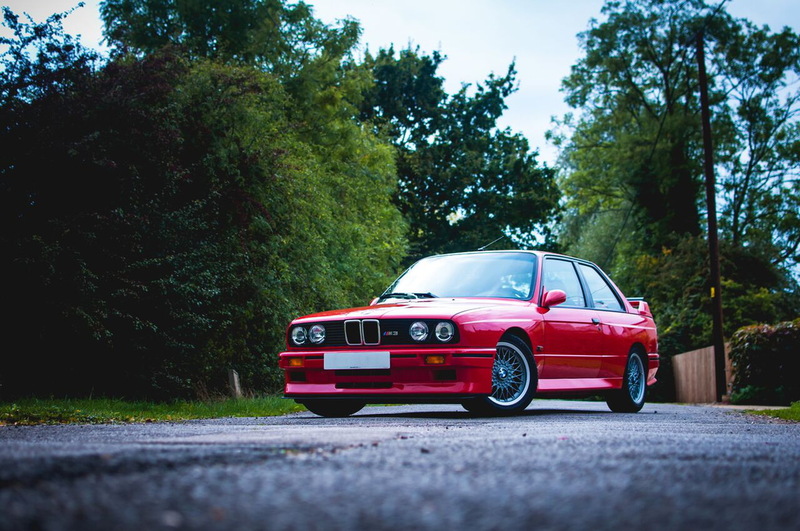 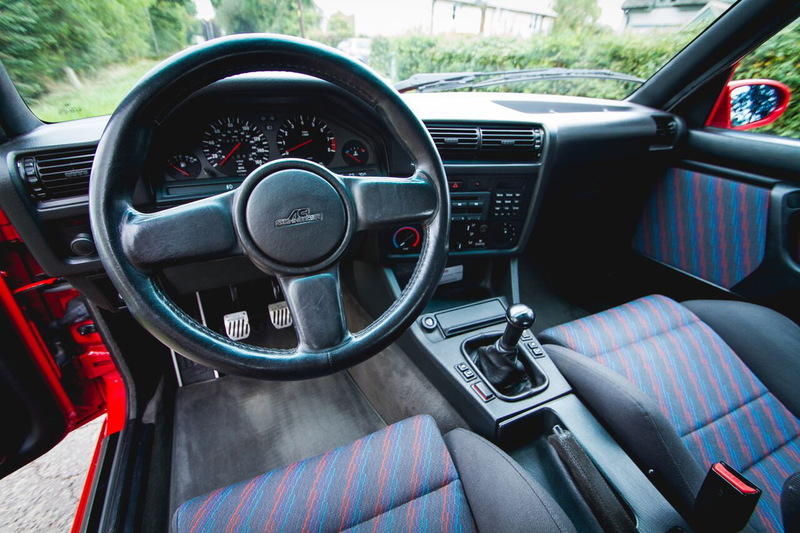 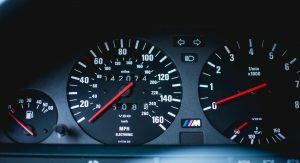 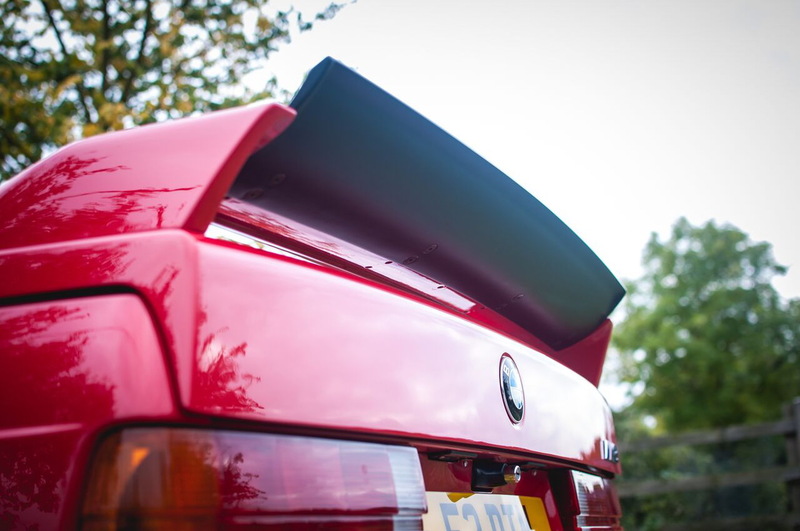 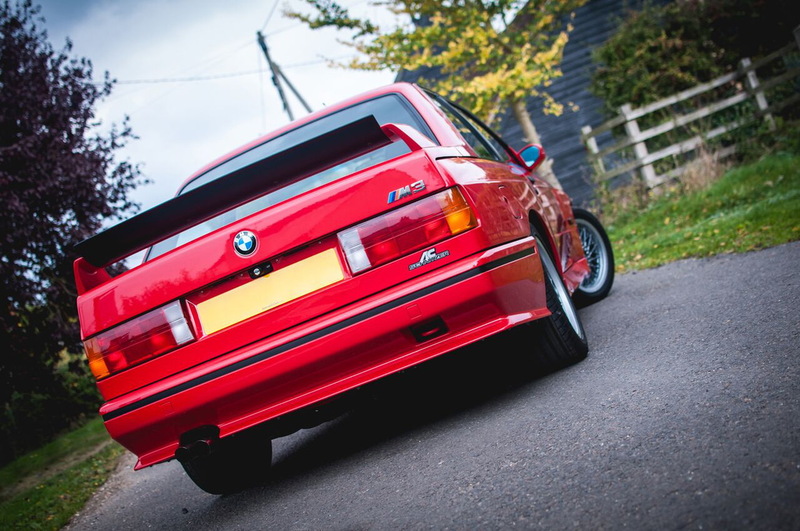 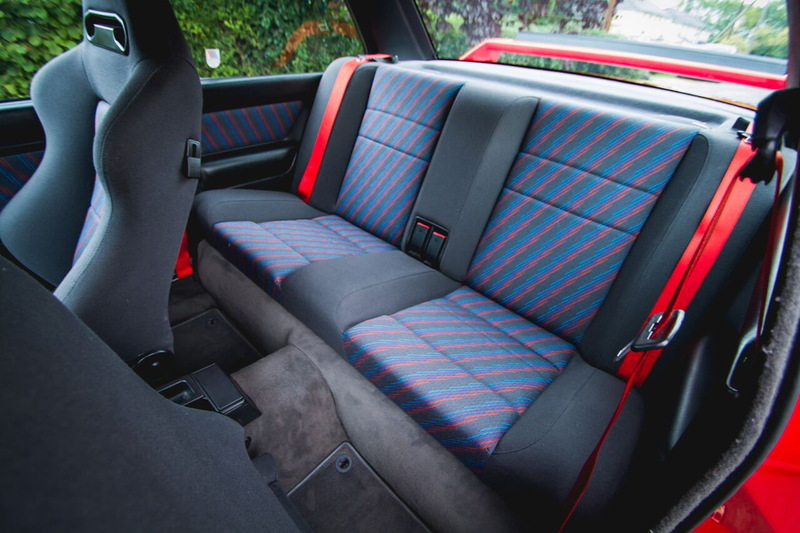 During its lifetime, the BMW M3 E30 Evo III was repainted and had its clutch, brakes and coolant systems refreshed, and new AC Schnitzer springs were added, but despite being 26 years old, it was driven for just 65,002 miles (104,611 km). 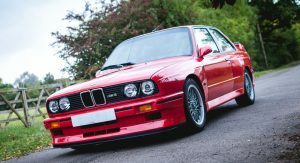 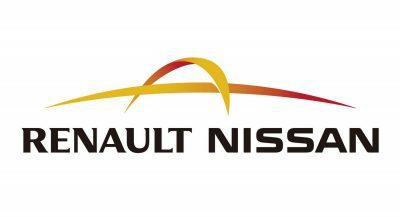 When it goes under the hammer at the NEC Classic Motor Show Sale 2016, in Birmingham, UK, on November 12, it’s estimated to sell between £95,000 and £115,000 ($115,880-$140,275).